Please call the Union Event Coordinators for assistance with all events and to answer any questions you may have. Call us at 801-581-7251 or email us. Determine date, time of day and optional dates for your event. Type of event: meeting, conference, reception, speaker, luncheon, etc. How many participants or attendees expected. Budget for your event. There are many free smaller meeting rooms for students, student organizations and staff in the Union. Rates are listed on the rooms and rates page or feel free to call us for assistance. Type of room or setup; board room, round tables, auditorium style, etc. 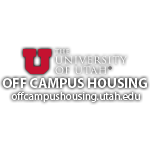 If not familiar with the rooms, setup options or room capacities in the Union please refer to the rooms and rates page for pictures and detailed descriptions. The Ballroom and Saltair both have a 30 day cancellation policy/fee and 7 days for other reservable space. All catering must be ordered through University Dining Services for all events, they have an exclusive contract with the Union. For more information, please view our catering page. Free banner space and sign holders are available in the Union. Groups can reserve an information table free of charge located either outside on the Patio Walkway or inside by Billiards. Please contact Union Reservations or refer to our reservations policy for more detailed information. Parking is never free in the visitor lots on campus except for Saturdays and Sundays unless there’s a football game (on a Saturday), then there’s a charge. You may purchase coupon code validations for a slight discount from Union Reservations for attendees to your event, please call for current prices. If you’re planning an evening event on a weekday it’s best to start the event at 6:30 pm or later. For certain events, we can arrange for the lots surrounding the Union, except the visitor lot, to be free after 6 pm. Without coordinating with the Union, there is no free parking on campus before 8 pm on a weekday and visitors must park in the visitor lots. Security personnel may be required for certain events such as concerts, dances and large gatherings. The need for security is determined by the Union Director and Campus Police. Please contact Union Reservations for more information. Most meeting rooms in the Union are equipped with built-in data projectors. If not, there are several portable data projector’s available free of charge. Union Managers assist with adapters and connections. For more detailed information please call our office or refer to our equipment and services page. Please contact Union Reservations, 801-581-7251 for details or refer to the equipment and services page. Most of our rooms have access to the “Union” wireless network. To connect to the “Union” network please ask the Union Event Coordinators for the login information when making a reservation. If you are not in an area of the building with access to the “Union” wireless network you can connect to the “UGuest” network. For more information on connecting to the “UGuest” network please download the “UGuest” Guide. Please download our reservations policy for detailed policies.